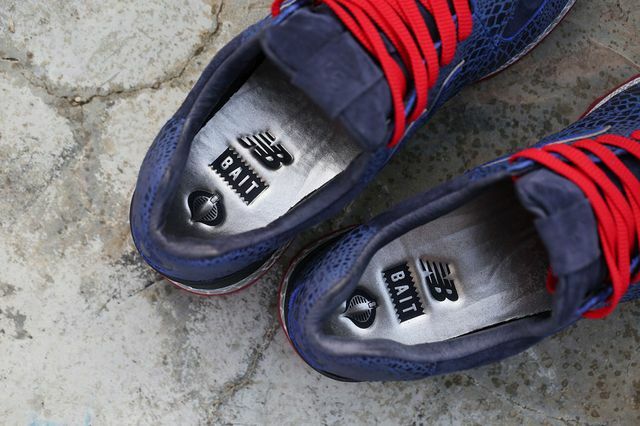 BAIT x G.I. 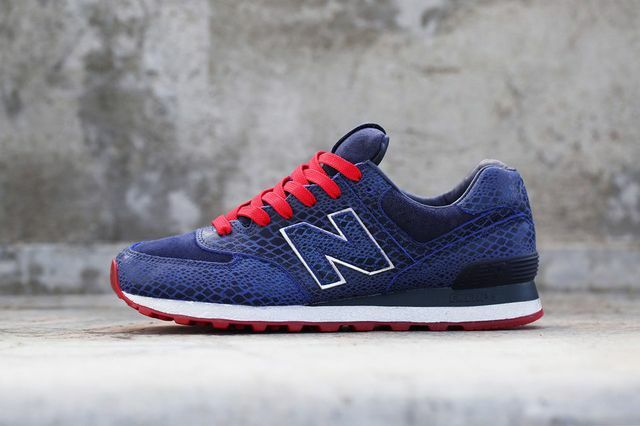 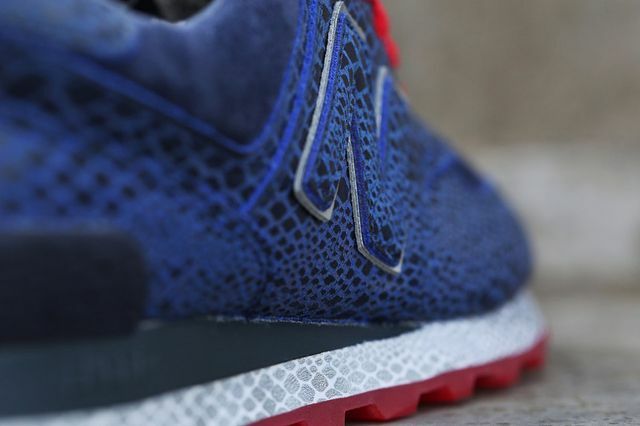 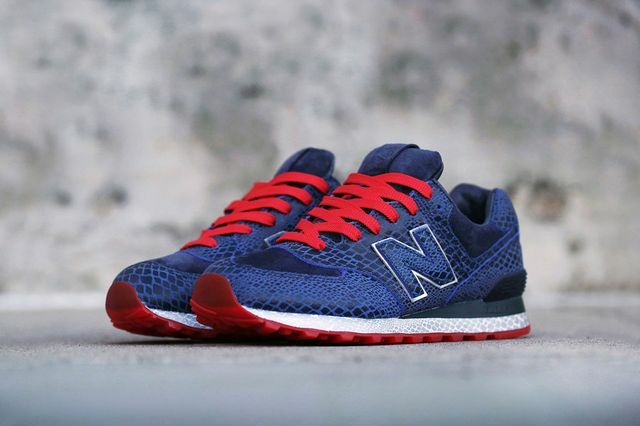 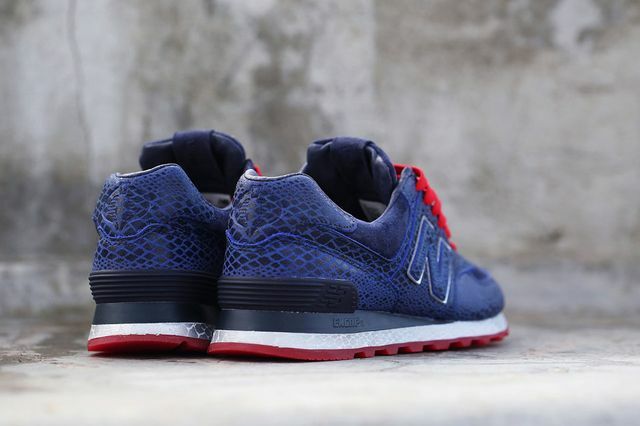 Joe x New Balance – 574 "Cobra Commander"
BAIT and New Balance aren’t done with their nostalgic G.I. 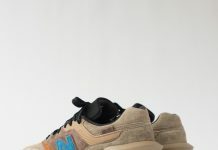 Joe turn up, the brands have collaborated once more, this time taking aim at the venerable 574 silhouette and G.I. 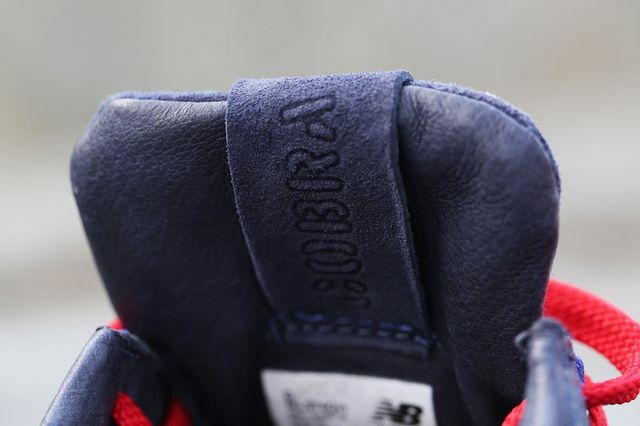 Joe’s Cobra Commander. 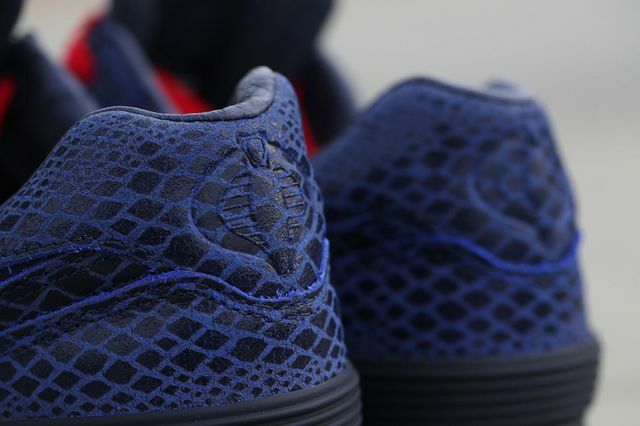 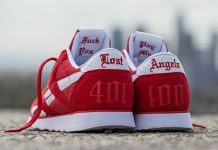 The kicks feature an appropriate hue of blue accented with red and silver, all the while decked out in a vibrant cobra-style faux snakeskin upper. 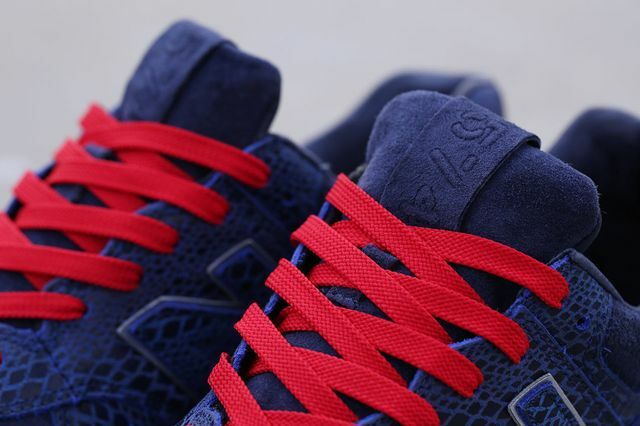 Complete with Cobra Commander branding and BAIT x NB branding as well, these are certainly some of the most interesting 574’s we’ve seen in a minute. 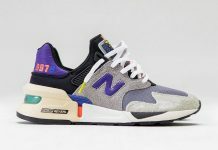 These stunners can be copped straight from the source in-store June 20th or via an online raffle.